With this week's release of the regular season schedule for the NHL's 102th season of operation (101st season of actual play), it's a good time to consider this season's offering in the historical context of the number of participating teams and regular season games played since the league's inception 102 years ago. Rising from 3 to 31 teams and 18 to 84 games since 1918, the NHL regular season now sits at 31 teams playing 82 times a piece for a total of 1,271 games. 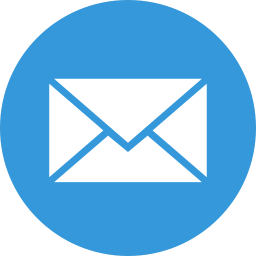 Aside from three work stoppages - abbreviating, canceling and abbreviating the proceedings respectively (1994-1995, 2004-2005, 2012-2013) - and a fire finishing a team (Montreal Wanderers) part-way through the year (1917-1918), most NHL regular season schedules have been played as planned with few, if any, interruptions. 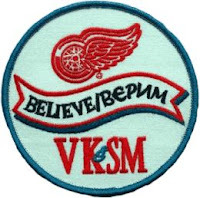 Amidst endless stories of financially troubled clubs, the league has done well to quell rumors of NHL relocation, embracing NHL expansion in Las Vegas with Quebec City and Seattle as frontrunners for the league's 32nd team to balance the conferences. On the heels of 2013's NHL realignment, expect regular season length to remain at 82 games for the foreseeable future in order to preserve their commitment to extended divisional play, every team visiting every rink each year, and the pursuit of the all-mighty dollar which directly influences player salaries. In short, fans' preference for fewer regular season games appears unlikely to be realized anytime soon. * See also Fewest And Most Games Needed to Win Stanley Cup. 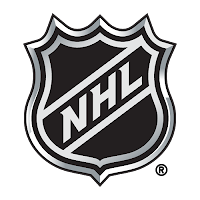 Since the league's beginnings in 1917, the NHL has welcomed 37 teams. Of those, thirteen have relocated to a new city, eleven have changed their team name while remaining in the same city, and six have fallen on financial hard times and folded their operations. The chart below shows the history of NHL expansion by year, team name and the expansion fee levied on the buyer by the league. As indicated by the footnotes above, several teams have endured change in the form of renaming, relocation and contraction. The ordering of the symbols indicates the chronology of these events. The number of NHL teams and regular season games played by year may be found here. The first five members of the NHL in 1917 gained admission without having to pay an expansion fee. Since then, all teams have paid a fee to join the league. Hovering between $12,000 and $15,000 in the 1920s, expansions fees jumped to $2 million in 1967 and tripled three years later in 1970 to $6 million where they remained (save surcharges to other teams and leagues) through the remainder of the decade. After a twelve year span of a 21 team NHL, expansion began again in 1991 with fees 7.5 times higher than those paid by teams entering in the 1970s, ultimately ending up over 13.3 times by 2000. Current franchise valuations estimate the value of NHL teams ranging from $186 million (Florida Panthers) to $1.2 billion (New York Rangers). On June 22, 2016, the NHL Board of Governors unanimously approved a yet-to-be-named Las Vegas team as its 31st franchise. The club, coming at a cost of $500 million (6.25 times greater than the cost of it's next youngest siblings, Minnesota and Columbus from 2000) shall compete in the Pacific Division commencing in 2017. The NHL expansion draft to fill their roster is scheduled occurred on June 21, 2017. Despite the escalating costs of purchasing a NHL team through expansion, the inflation calculator shows these teams to be more than holding their value in the terms of purchase price. This does not account for the annual operating losses for most NHL teams, which in the case of the Phoenix Coyotes resulted in losses of $54 million in 2009. In 2013, the Glendale counsel voting 4-3 to keep the Coyotes for five more years, dashing the hopes of Seattle or Quebec City acquiring the club through relocation. Despite Quebec City being passed over today for an expansion franchise, allegedly owing to a lack of geographic balance and a weak Canadian dollar, Seattle and Quebec City remain frontrunners to host the NHL's next franchise, if the league opts to expand to 32 teams. 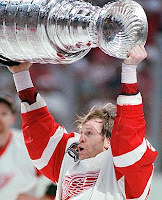 On June 20th in 1995, New Jersey Devils defenseman Scott Stevens dealt a devastating blow to Detroit Red Wings forward Vyacheslav Kozlov in Game 2 of the Stanley Cup Final, turning the tide of the game and series. The 2nd period collision sparked the Devils, turning a 1-1 tie into a 4-2 win and eventually sweeping the series 4-0 to clinch their first Cup. * See also Today In NHL History - Stevens Hits Lindros. 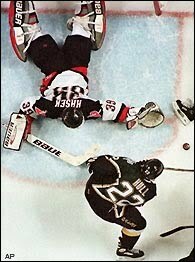 On June 19th in 1999, Brett Hull scored 5 minutes and 9 seconds into the third overtime period of Game 6 of the Stanley Cup Finals giving the Dallas Stars a 2-1 win over the Buffalo Sabres and their first (and only) Stanley Cup. The goal remains the most controversial in NHL history due to a now defunct rule banning a player's skate from entering the crease before the puck as it appears Hull's did. NHL Director of Officiating Bryan Lewis, however, claimed no crease violation on the play noting "Hull had possession of the puck when his skate entered the crease." ESPN counts the non-call as the 5th worst officiating moment in sports history. The NHL removed the rule the following month. 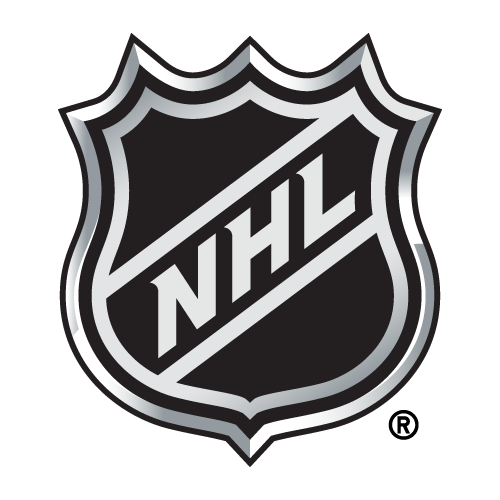 Since the Stanley Cup was dedicated to NHL's top team in 1926, only seven franchises (Montreal Canadiens, Detroit Red Wings, Toronto Maple Leafs, Philadelphia Flyers, New York Islanders, Edmonton Oilers, Pittsburgh Penguins) have successfully defended their title and won the Stanley Cup in consecutive years. 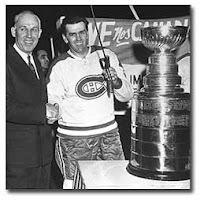 The record for consecutive Stanley Cup wins by the same club is five (Montreal 1956-1957-1958-1969-1960) with two teams managing four straight wins (Montreal 1976-1977-1978-1979, New York Islanders 1980-1981-1982-1983), one team duplicating three year streaks (Toronto 1947-1948-1949 & 1962-1963-1964), and four squads posting one or more pairs (Detroit 1936-1937 & 1954-1955 & 1997-1998, Philadelphia 1974-1975, Edmonton 1984-1985 & 1987-1988, Pittsburgh 1991-1992 & 2016-2017). The charts below describe these streaks by team, years, and vice versa. Prior to Pittsburgh turning the trick in 2017, Detroit was the last team to appear in consecutive Stanley Cup Finals (2008, 2009) when they rematched against Pittsburgh. Unfortunately for Detroit, they failed to defend their title. Fortunately for Pittsburgh, they spared themselves the shame of losing in consecutive Cup Finals. The last team to win the Stanley Cup three times in a row was the New York Islanders, when they claimed it four times in the 1980s (1980-1983). Pittsburgh fell short of their three-peat aspirations this year losing to Washington in the second round, who went on to win their franchise first Stanley Cup. Next year, they'll seek to defend and repeat. * See also NHL Consecutive Stanley Cup Losses. Moments before each Stanley Cup crowning the Conn Smythe Trophy is bestowed upon the Hockey Writers' selection of the postseason's best. First presented to Jean Beliveau in 1965, the honor dedicated to the Leaf legend has been handed out 53 times to 46 different players. 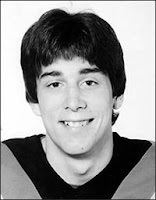 Typically finding a Stanley Cup champion (47 times) who is Canadian (45 times), the trophy has only found six Stanley Cup Final losers (Roger Crozier, Glenn Hall, Reggie Leach, Ron Hextall, Jean-Sebastien Giguere, Tim Thomas) and eight non-frostbacks (Brian Leetch, Nicklas Lidstrom, Henrik Zetterberg, Evgeni Malkin, Tim Thomas, Jonathan Quick, Patrick Kane, Alexander Ovechkin). That said, only 4 of the past 8 winners were Canadian (Justin Williams 2014, Duncan Keith 2015, Sidney Crosby 2016-2017) with the last recipient being Russian (Alexander Ovechkin 2018) and the three prior recipients being Americans (Tim Thomas 2011, Jonathan Quick 2012, Patrick Kane 2013). Positionally the award has been dominated by centers (18) and goalies (16), followed by defensemen (10), right wingers (6) and left siders (3). 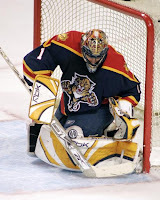 Only Hockey Hall of Fame goaltender Patrick Roy has taken the trophy three times with the well-heeled five-some of Bobby Orr, Bernie Parent, Wayne Gretzky, Mario Lemieux and Sidney Crosby each taking it twice. Bernie Parent (1974, 1975), Mario Lemieux (1991, 1992) and Sidney Crosby (2016, 2017) are the only to win it in consecutive seasons. On June 7th of 2018, Ovechkin became the second Russian and first Capital to capture the honor. Tim Thomas is the eldest recipient of the award at age 37 (2011), while Patrick Roy remains the youngest at age 20 (1986). The videos below capture the final moments of play in each series-ending game to date in the 2018 Stanley Cup playoffs along with the ensuing traditional team handshake line, sorted by round and series end date. The Golden Knights eliminated the Kings in Game 4 on April 17, 2018. The Sharks eliminated the Ducks in Game 4 on April 18, 2018. The Jets eliminated the Wild in Game 5 on April 20, 2018. The Lightning eliminated the Devils in Game 5 on April 21, 2018. The Penguins eliminated the Flyers in Game 6 on April 22, 2018. The Predators eliminated the Avalanche in Game 6 on April 22, 2018. The Capitals eliminated the Blue Jackets in Game 6 on April 23, 2018. The Bruins eliminated the Leafs in Game 7 on April 25, 2018. The Lightning eliminated the Bruins in Game 5 on May 6, 2018. The Golden Knights eliminated the Sharks in Game 6 on May 6, 2018. The Capitals eliminated the Penguins in Game 6 on May 7, 2018. The Jets eliminated the Predators in Game 7 on May 10, 2018. The Golden Knights eliminated the Jets in Game 5 on May 20, 2018. The Capitals eliminated the Lightning in Game 7 on May 23, 2018. The Capitals eliminated the Golden Knights in Game 5 on June 7, 2018. 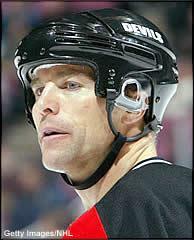 On June 7th in 2003, defenseman Scott Stevens of the New Jersey Devils crushed Paul Kariya of the Anaheim Ducks in Game 6 of the Stanley Cup Finals with an unpenalized late hit rendering the speedy winger motionless on the ice. Amazingly, Kariya returned to the game scoring a goal and finishing with three points and the first star in a 5-2 victory to force Game 7. Two nights later New Jersey won their third Stanley Cup marking the first Final since 1965 where the home team won every game. The hit ranks #2 on SportsCentre's top 10 Stevens hits of all-time, bested only by his hit on Eric Lindros in Game 7 of the 2000 Conference Final. That's today in NHL history.